Store > Horti > Light Acc. An inexpensive solution to test what your lights produce in terms of illuminance! Photosynthesis and plant growth depend on the sun or specially-designed lighting systems. But of that light reaching the plant, only specific types of energy (in the lighting spectrum) driv	the photosynthesis process. Since light is the most important single factor affecting your plants' life cycles, quality light meters are an essential tool in accurately determining if your crop is receiving the maximum light needed for healthy growth. A light meter allows growers an accurate means of adapting to their plants' needs as the light conditions change during a full growing season. 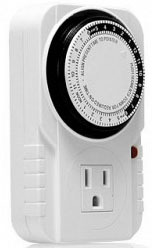 This product is a precision instrument used to measure illuminance (displays either footcandles or lumens). 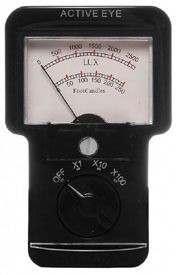 The meter is fully cosine corrected for the angular incidence of light, meaning that if you are not holding the sensor perfectly perpendicular to the light source, the sensor will still read the light correctly. The sensor is stable and made of a long-life silicon photo diode. 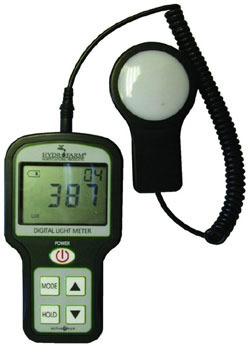 The digital light meter accurately measures to 40,000 FC (430,400 lumens). 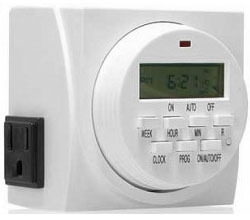 The meter's built-in low battery indicator means you'll never be caught by surprise by a low-power product. Capable of measuring artificial or natural light. 3 measurement scales for easy & precise readings. Includes lifetime silicon cell (Lithium 3V CR2032) battery. Measures PAR (Photosynthetically Active Radiation) flux in wavelengths ranging from the 400 to 700 nm. 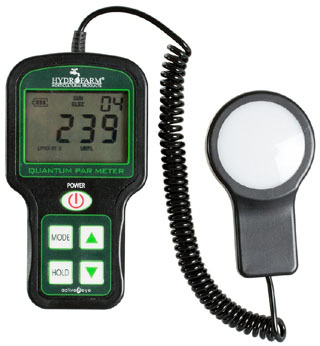 Fully portable handheld PAR meter with a highly accurate, integrated Quantum Sensor. Measures up to 10,000 μmol, and has a data logging capability using standard mini-USB cable and proprietary data logging software. The meter's built-in low battery indicator means you'll never be caught by surprise by a low-power product. Includes lifetime silicon cell (Lithium 3V CR2032) battery. Heat resistant reflective tape with tons of uses. 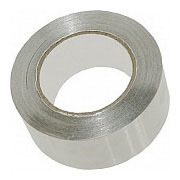 Essentially the same aluminum heat tape sold at hardware stores, only at half the price! Commonly used for lining light fixtures to increase reflectivity, as well as many other uses. We've used this tape to hold heat cable & pads in place, affix reflective coatings to walls & racks, and of course for fixing ductwork. High quality 2 mil thick material, 30' roll. Great for spot-cooling in a variety of conditions! Ideal for moving air around any area where space is limited & air circulation is desired. 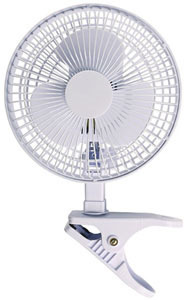 Compact 6" fan size with a fully adjustable (360 degree swivel) head. Strong spring loaded clip securely holds the fan in place with it's non-marring surface. Easily removable grill makes cleaning a breeze. 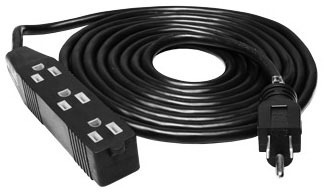 ETL Listed / 6' cord. We use these in our plant growth rooms, and we're happy to say they are a quiet-running solution to help keep things cool. The spring loaded clip is stronger than what is found on a typical clamp-fan. These are branded & marketed towards horticultural applications specifically. Make the most of your Jump Start System with the matching stand. Allows for quick & easy height adjustment with convenient toggle clamp. Easy assembly, easy adjustment. 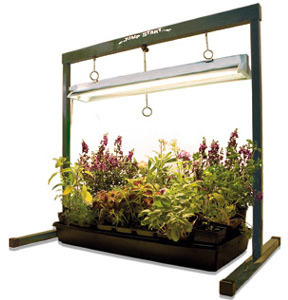 Everything you need to hang any of our horticultural fluorescent light fixtures quickly & easily. 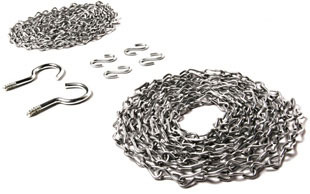 Comes with two heavy duty 8 foot chains, 4 "S" hooks, and 2 "J" hooks. Use of S hooks makes height adjustments up & down the chain easy. 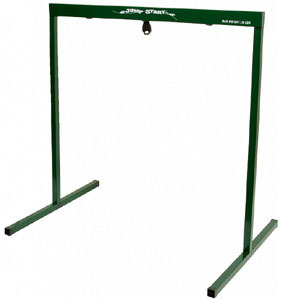 Use this Lamp Stand to safely suspend any clamp lamp or dome style fixtures above a growing surface. The Lamp Stand is adjustable in height and length, includes power cord clips, and a large base "foot" for stability. 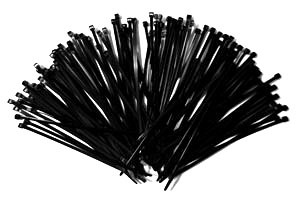 Easily adjusts from 8-15 in (20-38cm) long and 20-38 in (50-97cm) high. Fixture sold separately.